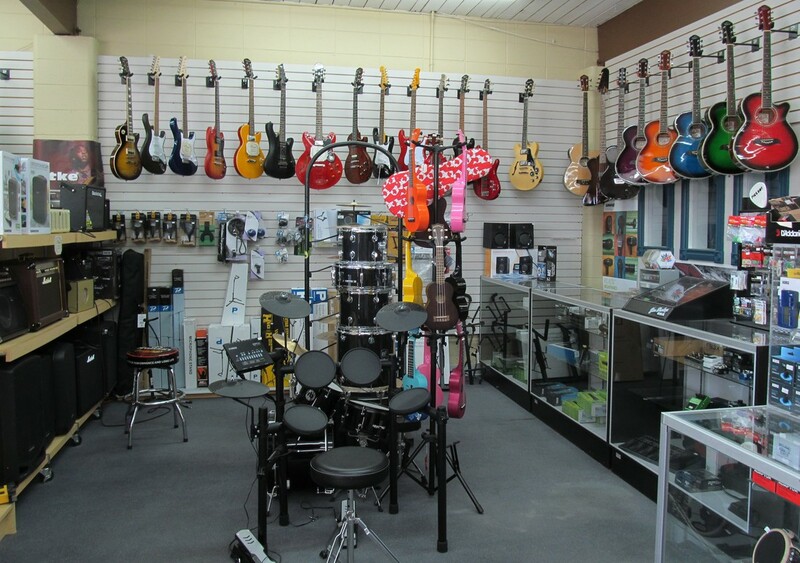 Come in and browse our selection of guitars, bass, drums, keyboards, instruments, accessories & music books. Our friendly knowledgeable staff are on hand to help you with all of your music needs as well as a great selection of music t-shirts, posters, body jewellery and more! We also carry a complete line of wireless Bluetooth speakers for home or professional use. Brand name products including Gibson, Takamine, Yamaha, Charvel, ESP, Epiphone, Tanglewood and Ovation guitars. Yamaha, Korg & Roland keyboards, Line 6, Blackstar & Roland amplifiers, Shure microphones, Boss & Dunlop pedals. Stop by and see us today at 4904 - 3rd Avenue in Edson.